Are you interested in studying aerospace engineering? There are many universities in India which offers graduate, postgraduate and doctoral level studies in aerospace engineering. Aerospace is a stream of engineering which deals with design and development of aircraft and spacecraft which is subdivided into aeronautical engineering and aerospace engineering. Aeronautical engineering deals with the design and development of atmospheric flying vehicles and aerospace deals with research and development of space vehicles. 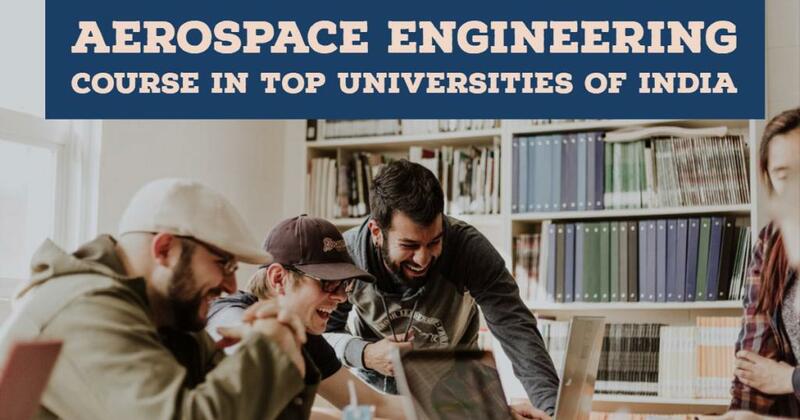 Due to the importance of the aerospace field, most of the universities around the world gave high priority to the aerospace engineering course and research in the aerospace field. All famous universities across India and around the world offers different types of aerospace engineering courses. Most of the University’s aerospace engineering courses are undergraduate and postgraduate studies in aerospace and its subfields. Apart from this, some aerospace engineering courses are available as diploma programs or certificate courses. The aerospace engineering diploma and certificate courses are provided by universities as well as other certified authorities like Director General of Civil Aviation. In India aerospace engineering-related courses are offered by most of the famous universities that include graduate, postgraduate and doctoral level studies which include IIT’s , IIST, IISC etc. Indian Institute of Technology (IIT)’s are international level universities in India which offer courses in many sciences and engineering discipline these universities are famous for their aerospace engineering course. IIT Bombay is one of the top-ranked university in the country. They offer undergraduate and postgraduate programs in aerospace engineering. The undergraduate program is in aerospace engineering and the postgraduate program in aerospace engineering has five specializations. IIT Bombay offers a postgraduate course in aerospace engineering in four disciplines, they are Aerodynamics, Dynamics and Control, Aerospace propulsion and Aerospace Structures. IIT Kanpur also has Undergraduate, postgraduate and Ph.D. aerospace engineering courses. The admission of this universities is only through the common entrance exams. This university offers part-time postgraduate aerospace engineering course for working personals. They have B.tech aerospace engineering course and five-year dual degree program. In the postgraduate level, IIT Kanpur has M.Tech Aerospace Engineering and they have M.Des course in engineering design, which can be pursued by aerospace engineers. In Doctor of philosophy level also IIT Kanpur offers Aerospace engineering and Design engineering courses, students those who are interested in research in the field can apply it. The admission for doctoral level courses also requires the GATE score. IIT Madras has regular UG and PG aerospace engineering courses and Ph.D. in the field of Aerodynamic and flight mechanics, propulsion and Aircraft structures. 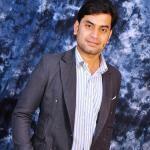 The M.tech Dual degree program is another important specialty of this institute. Student those who are passionate in doing research in the aerospace field can choose M.Tech Duel degree program and complete there Undergraduate and postgraduate courses in just 5 years. IIT Kharagpur offers a wide range of engineering and management courses. All undergraduate admission to IIT Kharagpur is only through the Joint Entrance Examination. They offer two type of undergraduate aerospace engineering courses and one post graduation course in aerospace engineering. They have regular 4-year aerospace engineering undergraduate course and Five-year dual degree program, through this dual degree program students can complete their undergraduate and postgraduate courses in 5 years. IIST Trivandrum offers aerospace engineering courses in undergraduate aerospace engineering and avionics. They have postgraduate programs in Aerodynamics and Flight Mechanics, Structures and Design and Thermal and Propulsion. IIST Trivandrum primarily focuses on the training and recut the most talented employs for ISRO and similar organizations. They offer physics and astronomy based course also. Master of Science in Astronomy and Astrophysics, Earth System Science, Geoinformatics are some of them. Madras Institute of Technology was established in 1949. At that time itself, MIT has aerospace engineering courses along with other mechanical streams and electronics. India’s former president and renowned scientist Dr. A P J Abdul Kalam studied in Madras Institute of Technology. MIT is otherwise known as Anna University Chennai offers courses in various engineering disciplines. Department of aerospace engineering have courses in aeronautical engineering. MIT also offers a part-time undergraduate course in aeronautical engineering. HIET is another prominent name in the aerospace education sector in India. HIET offers undergraduate aerospace engineering in mechanical stream and avionics stream. HIET also offer courses in aerospace engineering as Bachelor of Science stream. The courses offered in this section are B.Sc. Aircraft Maintenance Engineering and B.Sc. Avionics. Aeronautical Society of India was founded to promote aeronautical science and aircraft engineering in 1948. They offer aeronautical engineering courses equivalent to undergraduate programs offered by other universities. Many Universities in India admit aeronautical society of India’s students for higher studies. Osmania University, Anna University, IISc Bangalore, IIT Madras, IIT Kharagpur, IIT Bombay, Cochin University, Banaras Hindu University Varanasi and Motilal Nehru National Institute of Technology Allahabad are important universities admitting AeSI students. Aeronautical Society of India has courses in the Aeronautical mechanical stream, Avionics, and Maintenance and production stream. Along with their membership, they conducted examination for their membership. Aeronautical Society has a student membership, Individual Membership and cooperates membership. They have branches in many cities across India. Delhi, Bangalore, Kochi, Hyderabad, Mumbai, Pune, Kolkata, Nagpur, Nasik are some of them. Aircraft Maimane Engineering (AME) is an aerospace engineering course offered by different institutes which need to approve by Director General of Civil Aviation (DGCA). AME is a certificate or license course for maintenance of aircraft and its components. The license to maintenance engineers is issued by DGCA under Rule 37 in aircraft rule 1937. A, B1, B2, C are four type of license provided by DGCA. Park School of aeronautics science Coimbatore, Hindustan Aviation Academy Bangalore, Pune Institute of Aviation Technology, Pune are some of the Institutes offering aircraft maintenance engineering course in India.